Vehicle Prowl Prevention – There is a recent trend of vehicle prowls of cars that are parked in driveways. The suspects then use the garage door openers that are in the cars and use those to gain access to the garage and sometimes the home. Items have been stolen from the garages, as well as cars that are parked inside the garage. If you can, park in the garage. If not, EVERY TIME, remove the garage door opener and valuables from cars parked outside. 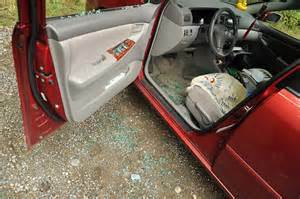 Do not leave a running car unattended, even if it is locked. Stay with your car while it is warming up. Do not leave any valuables of any kind in your vehicle. Always keep your car locked. Report any suspicious activity to 9-1-1. Parked or occupied unfamiliar vehicles. Report any vehicle vandalism to 9-1-1. Protect your vehicle, valuables and home by being aware of your surroundings and reporting suspicious activity. Thanks to Sara Wood and Kent PD for providing this information.